Why choose the Academy of Aesthetic Excellence? Here at The Academy of Aesthetic Excellence we strive to promote precision, integrity and perfection in all aspects of facial aesthetics. Based in the heart of London, at The Academy of Aesthetic Excellence we are a dynamic team of facial aesthetic professionals who have all enjoyed successful aesthetic practices, which we built up ourselves, gaining invaluable business experience in addition to our surgical and medical skills. We are happy to share our marketing knowledge and success strategies as well as our clinical expertise, and offer a range of courses to address these topics. With the Academy of Aesthetic Excellence in London, you can rely on individual attention at all times. You will also be given information about your course well in advance, giving you plenty of time to prepare and therefore derive the most benefit from your attendance. We are able to offer bespoke courses and corporate bookings, and can even provide evening and weekend courses so that they won’t interfere with your current practice or employment. We are very proud to announce our new 5 day intensive introductory course in Aesthetic Medicine. This will cover all aspects pertaining to Aesthetic Medicine in detail and is particularly suited to medical professionals from other disciplines, wishing to become leading specialists in this field. Various Masterclasses in Aesthetic Medicine will be held throughout the year to promote excellence in service across the industry. All our courses are led by our Medical Director, Dr Raina Zarb Adami, who has performed over 5,000 such treatments. She is a surgeon with experience in plastic surgery and further qualifications in Aesthetic Surgery. She is also London's Local Coutry Ambassador for Allergan (the leading company producing Botox, Vistabel and the Juvederm range). Support from the Academy of Aesthetic Excellence will continue after the course. You are welcome to call or email us with any questions and we will be happy to help. We can also put you in touch with clinics looking for aesthetic practitioners, as well as teaching you how to integrate aesthetic medicine into your practice. Here at the London based Academy of Aesthetic Excellence we strive to remain at the cutting-edge of aesthetic medicine and draw on a vast wealth of knowledge to create relevant training courses that are invaluable to professionals wishing to operate in the field of facial aesthetics. Each course lasts a full day from 9am to 5pm. Lunch and refreshments will be served. Will I be able to start practising the skills I learnt immediately? 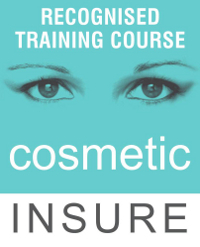 Yes, we will guide you on how to obtain insurance, and how to immediately integrate your new skills into your practice, or on how to find and approach cosmetic clinics. What will I learn on these courses? Please see the individual syllabus for each course. All courses include the basic anatomy and physiology, the pharmacology of the agent used, patient consultation skills, application and possible pitfalls and complications. You will receive very closely supervised hands-on training and practice on a model. What do I require to obtain a certificate that will allow me to be indemnified with a defence union? You would need to have attended the course, participated in full, practised the technique on a model, successfully complete the short assessment at the end of the course and pay the course fee in full. Yes, you can do so at no extra cost. However, we do encourage you to contact us beforehand to ensure that the model is an adequate candidate for the procedures. If you do decide to bring your own model, it is then your responsibility to ensure she is present on the day. To be a model, the patient must not be pregnant or breastfeeding, have active infection at the sites to be treated, not be allergic to any of the products we are going to use, and not be on anti-coagulant medication. Should you have any queries, please do not hesitate to contact us. We encourage attendees to bring their own models or you can be a model yourself at no extra cost. Who can attend AOAE courses? The courses can be attended only by doctors (fully GMC registered), dentists (GDC registered) and registered nurses (NMC registered). Upon application to our courses, we will ask for your registration numbers to verify this. I am a foreign doctor practising overseas and would like to attend one of your courses. Am I eligible? You are eligible to attend AOAE training courses if you prove registration with the medical council in your country. However, it is your responsibility to ensure that in your country you will be allowed to use the certificate provided by AOAE to obtain professional indemnity and subsequently practise these skills. I've trained in these courses a while ago, and would like to revise the theory. Can you help me with this? If you've done your training courses with AOAE and would like to attend the courses again as a refresher course, you are more than welcome to do so. Refresher courses cost £180. However, you do not get to practice on models. Should you like to practice on models, kindly contact us and it will be discussed further. I’ve done my basic training courses with another training school. Will I be able to attend the advanced training courses at AOAE? Yes, you will. You would need to provide us with your foundation training certificates. How long after the foundation courses can I attend the advanced courses? After six months of administering these treatments. How soon can I get started after the course? We will give you all the necessary information and guidance to start practising your new skills immediately. Our courses comprehensively cover all aspects of the practise, including obtaining insurance, marketing skills, optimising your CV, etc. All necessary adjuncts to the technical and clinical skills we introduce you too. Would it be possible to shadow a trainer or aesthetic practitioner after the course? Yes, this would be possible. However, limitation due to travel may occur, AOAE will be happy to source a practitioner in your area and ask for a shadowing possibility on your behalf. Does AOAE help us find clinics to practise in after the courses? Yes, while at the moment AOAE doesn't offer a recruitment service per se, with consent of the individual delegates, we would be more than happy to work together to source employment and help you find a clinic or other similar establishment to employ your newly learned skills. Do I need insurance to begin to practise? If so, how do I obtain that insurance? Yes, insurance is a definite must. We will happily advise you during the course on how to obtain insurance. Insurance cannot be obtained without a certificate from an accredited training academy. Do I receive support and contact after having attended the courses? Yes, AOAE will always be at the other end of a phone call or email, ready to help with any questions you might have regarding clinical or business matters (calls taken Monday to Friday within working hours). Why should I choose AOAE? The Academy of Aesthetic Excellence strives to promote precision, integrity and perfection in all aspects facial aesthetics. The AOAE is run by a dynamic team of facial aesthetic professionals who have all enjoyed successful aesthetic practices, which we built up ourselves, gaining invaluable business experience in addition to our surgical and medical skills. We are happy to share our marketing knowledge and success strategies as well as our clinical expertise, and offer a range of courses to address these topics. Are AOAE courses fully accredited? 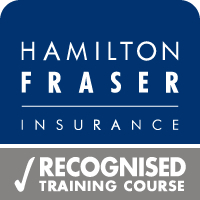 Yes, all AOAE courses are fully accredited by Hamilton Fraser Insurance. This means that a training certificate from AOAE will allow you to obtain professional indemnity insurance and immediately start practising your newly learnt skill. Do I receive any pre-course reading material? Yes, two weeks before the course, you will be sent reading material by email. We do suggest that you read this thoroughly, to familiarise yourself with the techniques and the subject matter, thus making the course less tedious and more enjoyable. How many attendees per course? AOAE is strictly limited to eight delegates per course and up to an additional three refresher delegates. This is to ensure that individual attention and training is received by all. A certificate of training will be provided upon full attendance of the course, hands-on practice, successful completion of the assessment, and full payment of the course fee. The Academy of Aesthetic Excellence and its trainers do not take any responsibility whatsoever for your technique and subsequent actions as a result of attending this course. Certification of this course is on an attendance, participation and final assessment basis, but is not necessarily a statement of your competence. Material given to you by AOAE cannot be distributed or copied. We reserve the right to change course venue. You will be notified in due course if your venue has been changed.